Winter is taking us by storm faster than we can get our winter boots out of storage. As beautiful as the freshly-fallen snow is, what’s not as beautiful is the process of trying to match oversized moon shoes to your favorite outfit. No matter how hard you try, you end up either looking like you’re going skiing or losing hope and letting your pedicured-toes freeze half to death. Someone along the line got the memo to set the trend for fashion-forward snow boots, and we have chosen the best of each style! This boot takes the classic rain boot style, adds quilting nylon and faux fur for warmth, and ties it all together with a little bow to create a simple and sophisticated snow boot perfect for both dry and wet winter days. These boots scream Charlotte York-meets-Olivia Palermo—what more could you ask for?! As if we weren’t already obsessed enough with Chiara Ferragni, she designed a fabulous winter boot in an array of colors (and glitter!) Prefer to stick with the ski-look? We assure that you will look just like a snow bunny with these white booties. With shearling on both the inside and outside of the boot, they are guaranteed to keep you toasty, while the waterproof leather will keep your feet dry in the snow! 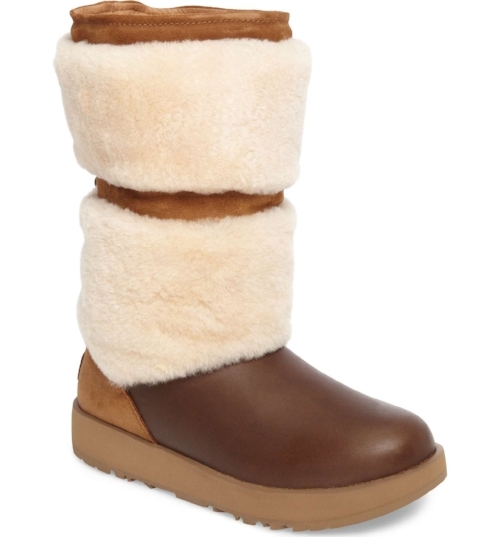 These boots are also available in black and grey metallic, so apparently we will be wearing UGG’s all winter long. Winter in New York City consists of mainly black on black ensembles, so these boots will pair perfectly with nearly any piece. The shape of the boot is smaller and thinner than a lot of snow boots but still gets the job done. If white boots aren’t your thing, these also come in a sleek allblack option. Red boots were a major trend of 2017, so it’s our goal to continue it into 2018. Swap the patent leather for waterproof textile and a chunky heel for laces galore, and you have yourself a hot pair of snow boots. 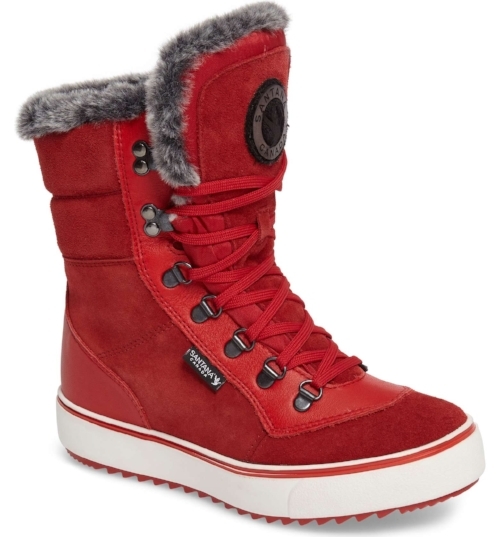 The red color is sure to add some life to cold streets or fit right in to the snowy slopes. 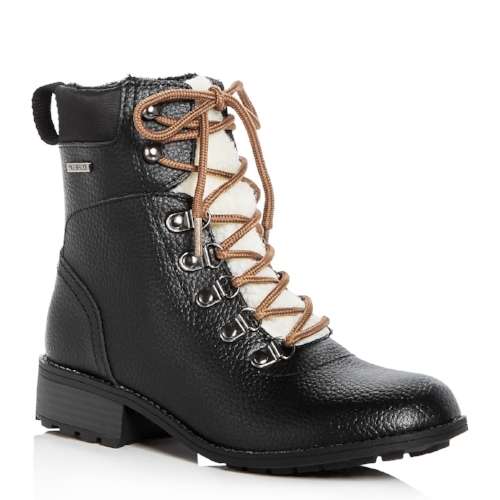 These boots are so cool and subtle that you can’t even tell they’re meant for the snow. 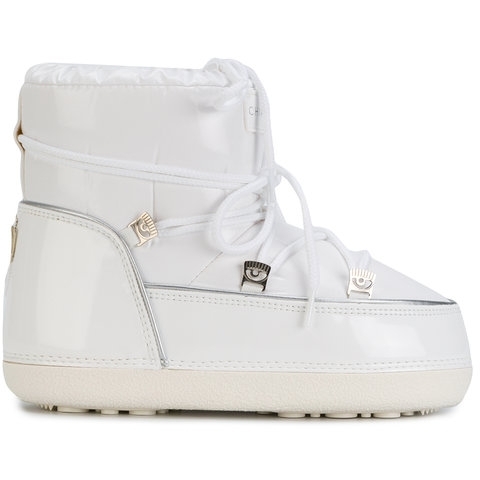 By disguising themselves as sneakers, they give you the best of both worlds: not wearing oversized moon boots and staying just as warm and comfortable. Plus, these boots can easily be worn past the heart of winter. 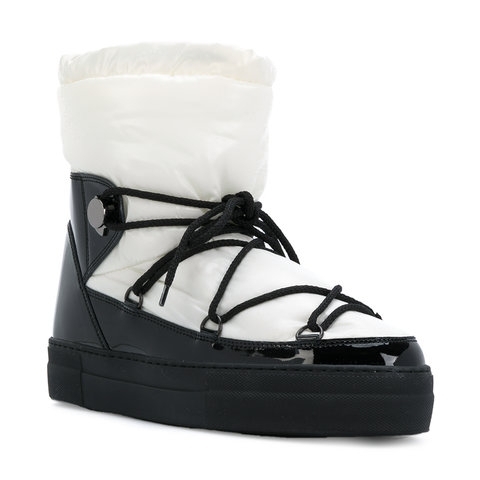 Pretty much the ultimate snow boot, this option is not only in an ultra sleek all black leather, but it is lined completely with faux fur and comes with a memory foam insole. So you can say goodbye to aching, frost bitten feet for good.